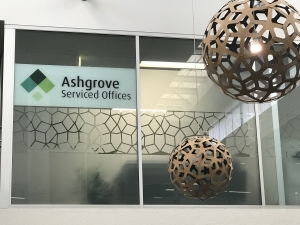 Ashgrove Serviced Offices is located on Level 1 in the Highpoint centre at 240 Waterworks Road, Ashgrove, approximately 5 km north-west of the Brisbane CBD. The Highpoint building is on the southern side of Waterworks Road, midway between the Ashgrove Avenue and Stewart Road intersections. If driving to Ashgrove Serviced Offices, you need to be heading outbound (towards The Gap) along Waterworks Road in order to be able to access the on-site parking. Turn left into the second driveway after the traffic lights at the intersection of Ashgrove Ave and Waterworks Rd. There is free public parking in the basement under the building (two hour limit) as well as in front of the building (one hour limit). Taxis will usually drop customers off at the bus stop on Waterworks Road directly in front of the building or drive down into the property and let passengers alight near the cafe. Similarly, if you order a taxi or Uber to pick you up from Ashgrove Serviced Offices, keep an eye out for them at these two spots. A taxi stand is located in front of Woolworths, just a short walk around the corner into Ashgrove Avenue. Detailed bus timetable and route information can be found at the Brisbane City Council TRANSLink website. The Ithaca Creek bikeway is just a few hundred metres south of the centre, accessible via nearby sidestreets. More general information about bikeways across Brisbane can be found at Brisbane bikeway and shared pathway maps. 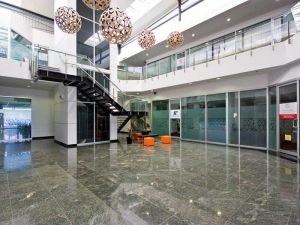 Ashgrove Serviced Offices is located upstairs on Level 1. For the stairs to Level 1, walk past the cafe on the Ground Floor and go inside the building, where you will see the stairs snaking up around the lift. To take the lift to Level 1, you can access it from the basement level car park (B1) or from the Ground Floor inside the building next to the stairs (as per above). As you reach the top of the stairs or come out of the lift on Level 1, spiral around to your right and you will see our signage at the entrance to Ashgrove Serviced Offices.